When it comes to floor buffers, this sturdy 17 inch model out-ranks its competition by providing outstanding quality and value. The tough 1.5 HP motor is supported by two capacitors for easy start up in high friction areas. 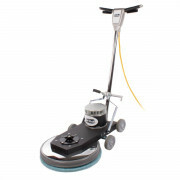 Rotating at 175 RPM, this unit strips, scrubs and provides low speed buffing with ease on any flooring surface. For added versatility, a solution tank and carpet bonnets can be purchased to make this buffer a carpet scrubber as well. Comes backed by a 5 year warranty on the motor & 1 year on parts. 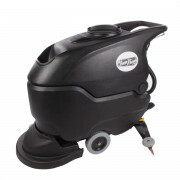 CleanFreak.com offers you a huge selection of high speed burnishers to pop the shine back into your floors. We offer battery operated, propane and corded versions of the floor burnisher, but this unit in particular leads the pack in quality, price and ease-of-use. 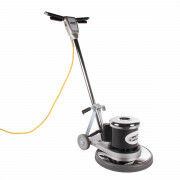 With 1500 RPM’s, a 20” path and a 1.5 HP D.C. motor, this unit can be used by beginners and professionals alike to achieve a beautiful shine on waxed flooring surfaces. CleanFreak’s rectangular machine in a convenient 14” x 20” size is an orbital buffer that provides wet or dry (chemical-free) stripping in addition to all other cleaning and buffing tasks typical to buffing machines. Of course, if you want something larger, its big brother, the CleanFreak 28 Inch Dry Strip Oscillating Floor Machine , measures 14” x 28”. Either unit allows even new operators to quickly learn to cut straight lines and reach into corners, regardless of the task. Our walk behind scrubbers are consistently rated at the top of the line for performance and ease of usage. The "Performer 20" is the absolute leader in both of these categories. 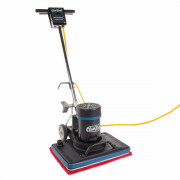 We knocked all the bells and whistles off of this model, to offer a purely affordable piece of cleaning equipment that is a great maintainer of hard surfaces and waxed flooring. 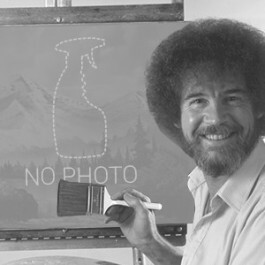 Comes with a 30 day out of box warranty, with additional plans sold separately.